USA players don't have it quite as easy as other countries in terms of deposit funds into their sports betting accounts. For example in the UK, players don't have any issues at all making deposits. They have all sorts of legal sportsbook deposit methods available to them. However, players living in the United States have to face issues such as declined credit card transactions, no available e-wallet options and a host of other hurdles to overcome. That's why we've decided to develop a comprehensive and detailed guide to assist gamblers from the United States with funding their online sportsbook accounts. We go into great detail on the safest and most reliable deposit options available today. We log into our own personal sportsbook accounts on a weekly basis to ensure that the information we offer is kept up to date and players aren't being given erroneous information. Bitcoin deposits are starting to become more and more popular every day. As a matter of fact, as of Jan 2016, there are now several big-name US friendly sportsbooks that are currently accepting Bitcoin. If you aren't quite sure what Bitcoin is, we offer an extensive "getting started" guide that helps players get a basic understanding on what this is, how to use it and which USA online sportsbooks accept Bitcoins. In addition to the Bitcoin giant, several other cryptocurrencies are starting to be accepted more frequently. Litecoin, Ethereum, and Dash are some of the newer cryptos making it onto the deposit and withdrawal pages of the US-accepted online sportsbooks. These other cryptocurrencies are often used because they offer the fastest withdrawal and deposit times available online. With turn-around time cut to a minimum, players can focus on what really matters and get to placing bets right away. Credit card account funding is a "must" for USA players. People from around the world prefer using their plastic over any other type of funding option because it is safe, secure and speedy. This holds true for the majority of sports gamblers as well. Credit cards are simply the best option to deposit funds into most USA online sportsbooks. The biggest issue facing credit card deposits are transactions getting declined by banks. Due to the hit and miss nature of your credit card deposit getting approved, most players choose to have accounts at several different sites to ensure one of them can process your credit card. It's also worth noting that many sites are always bringing on new processing companies to help hide the codes associated with online betting. So while your deposit might get declined today, it may very well get approved tomorrow. In addition you might consider trying your credit card more than once at a particular site if the first attempt is declined. Again because many sportsbooks have several different processors, the next attempt might be successful because they used a processor that codes the deposit as a book or flower shop or something other than gambling. American Express or AMEX cardholders are looked upon as the most financially responsible and creditworthy individuals in the world. But from a business owner's perspective, in this case the sports book where you will be depositing money, it is more expensive per transaction than other credit card choices. Credit card companies like American Express charge their business partners a very small fee on each transaction. That is how you know that the brands that honor the AMEX card, and there are not too many of them, really have your best interests at heart as a US depositor. And American Express backs up each one of your transactions with several security layers which we will explore in a more in-depth fashion on our dedicated USA Sportsbooks Accepting American Express page. If the AMEX card is the most respected credit card, Visa is the most popular. More people hold a Visa credit, debit or charge account than any other. And Visa offers speed of transaction, safety and security for those US online sportsbook account holders who choose this particular deposit method. Also, you do not need to have any particularly sterling level of credit to usually qualify for a Visa card. And even if your credit stinks, you can purchase prepaid Visa gift cards in any amount you like, and use them to fund your Internet sports betting pastime. As with all credit cards, Visa charges a nominal fee to any merchant which allows you to use this convenient and familiar account funding method. That is why you will not find a Visa card offered as a deposit option at just any old betting site. Our USA Sportsbooks Accepting Visa page which goes into detail about the benefits of using your preferred Visa credit, charge or gift card when funding your online sportsbook account. MasterCard is generally regarded as one of the top-tier credit cards, along with Visa and American Express. And many of the financial and convenience benefits delivered by Visa for online sports bettors apply to your MasterCard as well. If your credit is not the greatest, or you simply want to protect your regular MasterCard account, you can purchase a MasterCard gift card online. This gives you a virtual account, and there is no credit check. You simply purchase a MasterCard gift card in any amount, and then use that at the leading online sports betting sites which honor this respected, safe and secure deposit method. To learn more, head over to our USA sportsbooks accepting MasterCard page, where we not only illustrate the benefits of using this particular credit card, but also list the top rated sportsbooks which honor it. 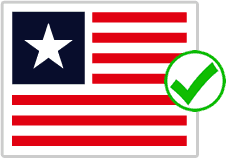 FYI, currently, E-checks are not available anywhere for USA players. We are keeping this section up to educate players about this method and will update it accordingly if we run across any reputable sites that offer this option. We talked earlier very briefly about electronic checks. Just imagine the old-school check writing process, but with an electronic, virtual spin. Instead of writing out a check and handing it to a physical merchant, you use your checking account to electronically send money via the World Wide Web. You will usually find this option only at legitimate and seasoned sports betting destinations because it is a more involved process on the business side of the equation. For you, as a USA sportsbook account holder, convenience, familiarity, and speed are a few of the benefits. You know you are protected by your financial institution and the sites which honor e-checks or electronic checks also deliver security and safety guarantees. Learn more by visiting our USA Sportsbooks Accepting Echeck page. We will answer all your questions about this dependable and convenient online deposit method, and also tell you where to go to find the best providers that will accept your electronic check. What Is the Easiest and Fastest Way for a Sports Bettor from the USA to Fund an Online Sportsbook Account? You want to spend your time placing bets, and not fooling around with involved, expensive and frustrating banking methods. Here on our website, we have dedicated our efforts to point out the most reliable and legal, dependable and safe online sports betting sites which are registered and certified to honor US residents. But we have also made sure that these top operators allow you the quickest possible options for getting real money into your account so you can place a wager. As a sports bettor you know speed is important, and not just on the playing field. Sometimes a Las Vegas line is so far off that you know there is easy money to be won. But you look in your online sportsbook account and find you don't have as much money to bet as you would like. The fastest and easiest way to instantaneously get funds into your sports betting account is with your preferred credit, debit or gift card as a USA player. 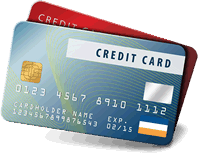 You can learn more by visiting our credit card deposit method pages which go into more detail. Will I Still Get My Sportsbook Welcome Bonus If I Use a Credit Card As a Deposit Method? As you know, the better sports betting sites reward you with bankroll bonus money when you open up and fund an account with them. This can in many cases be as significant a bonus as 25%, 50% or even 100% of your initial deposit. The good news is, simply by using your preferred credit card, you will in no way endanger that free bonus money. And in some cases, the most trusted USA sports books will actually give special bonuses just for using a particular credit or debit card. This is because they know that the transaction is legitimate and secure because it is made through such a trusted payment processor. Sign up with any of the dependable and legally licensed US-friendly sportsbooks we have reviewed and recommend, and you will always get the maximum bonus money possible when you use your credit card as a deposit method. If you want to learn more about how bonuses work, we recommend checking out our USA sportsbook bonuses page which explains how sportsbooks reward players with free money, the differences between some of the most popular bonus types and of course a list of the biggest bonuses around. How Does The UIGEA Gambling Bill Affect USA Players And Depositing Real Money? Many people are confused about the UIGEA gambling bill and how it relates to players specifically. The UIGEA does not specifically target players but rather targets the banking and financial institutions which process the payments. The bill makes it illegal for any banks to process any transactions related to online gambling. Read our UIGEA page to get a clear understanding of exactly what this law is and what it isn't. We also have an extensive section specifically related legal online sportsbooks including which betting laws apply to USA players. There are many cashout options available to USA players when they are ready to cash out. We have a page that goes into great detail on the various options and which USA sportsbooks offer the fastest payouts.